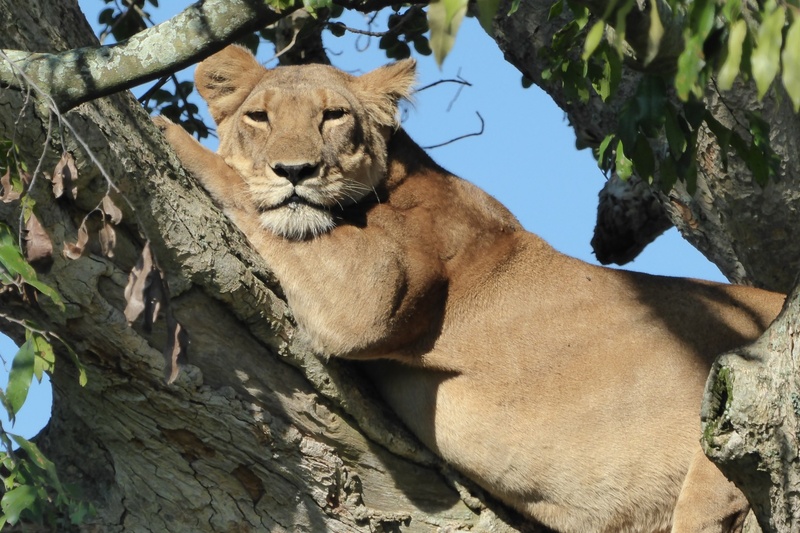 Ishasha, the southern sector of Queen Elizabeth National Park, is home to the tree-climbing lions. The vast savannah landscape, broken by forested areas, is inhabited by chimps, buffalo, kobs, elephants and more. But it is the lions most visitors come specifically to see. And for good reason. Ishasha is one of only two locations where you can spot lions exhibit this rare characteristic as part of their daily behaviours. A game drive to the area is a memorable experience. For about 2 hours, your informed guide will help you spot the lions as they idle away the heat of the day amongst the branches. Most experts agree that lions, which can weigh up to 400lbs, are not best equipped for climbing trees. Whilst their nimble cousin, the leopard, makes it look effortless, Ishasha’s lions climb with less ease. But they have mastered the skill and pass it on to their cubs. 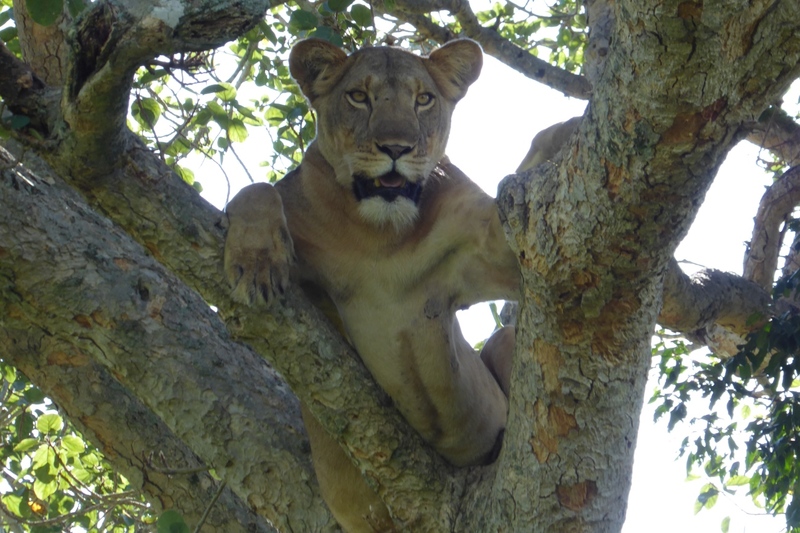 Some believe they, and the like minded East African lions in Tanzania’s Lake Manyara Game Reserve, have adapted to escape the heat on the ground and to catch the cool breeze in the tree branches. The large fig trees provide excellent shelter from the harsh rays of the sun and the rain. Others claim they are escaping from the biting tsetse flies on the savannah floor. The lions are able to rest in comfort and can keep a watchful eye on the movements of their prey, which are mainly kob. Whatever their reasons for climbing trees, Ishasha’s idiosyncratic lions provide visitors with a magnificent sight as they lounge in the branches.